"I wasn’t even the one who ordered it. Eight years ago, things called “lemon poppy seed cake” were ubiquitous, and largely nothing to write home about. I never understood what the poppy seeds were doing there, all sparse like occasional punctuations, adding… visual interest? It was generally unclear. They were lemon cakes, and not even great ones, with speckles. But this cake. THIS CAKE. (Sorry, it makes me shouty.) 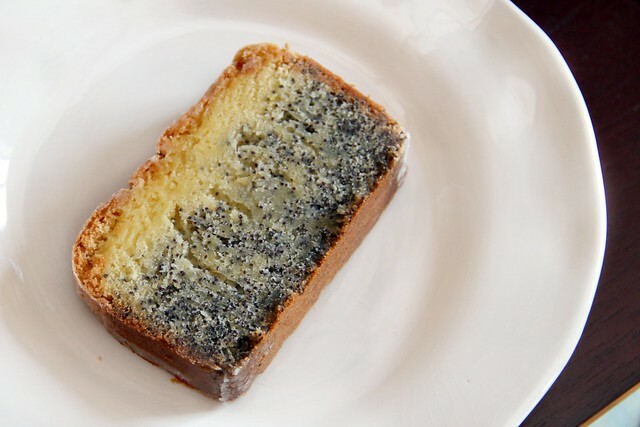 First its appearance: Poppy seeds clustered so densely, the cake was nearly black. I’d never seen anything like it — so intriguing, so ominous! 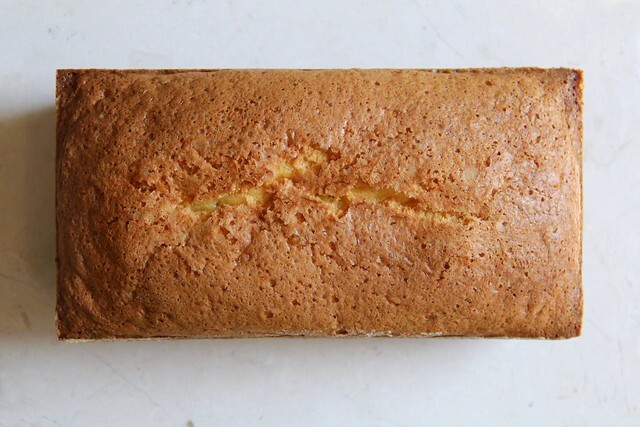 And its texture: It managed to be one of the lightest cakes I’d ever eaten, without the blandness that’s all-too-common in angel food, chiffon and other “airy” confections. And the flavor: It tasted like lemon-scented butter, without the acidity typical in lemon cakes. This was about the perfume of the lemon, not the juice. And the poppy seeds! Did you know that poppy seeds actually do have a flavor — a slight nuttiness — should you allow enough of them in that they can actually speak up?" And, well, here it is: My poppy seed lemon cake. Of course, I needed to give it a little something extra. For good measure. 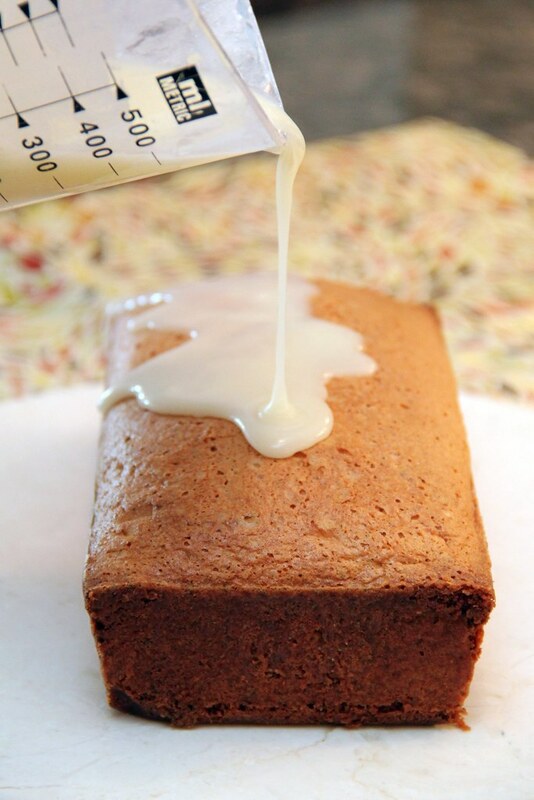 I poured on a lemony sugary glaze (recipe below), while the cake was still warm. It makes the outer layer of each slice just a little bit more special. And when you slice it, you can see the poppy seed strata. Deb baked her cake in a tube pan and then inverted it, which is the ideal method. I only had a loaf pan to work with, thus the reason for my poppy seeds settling on the bottom. But luckily, my cake didn't sink in the center. Combine all ingredients and stir until smooth and well blended. Drizzle icing over cake while still warm.